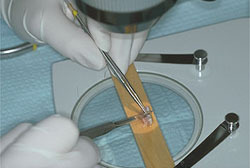 Small scalp fragments such as micrografts or follicular unit grafts of 1 to 3 hairs are used for hair transplant surgery. 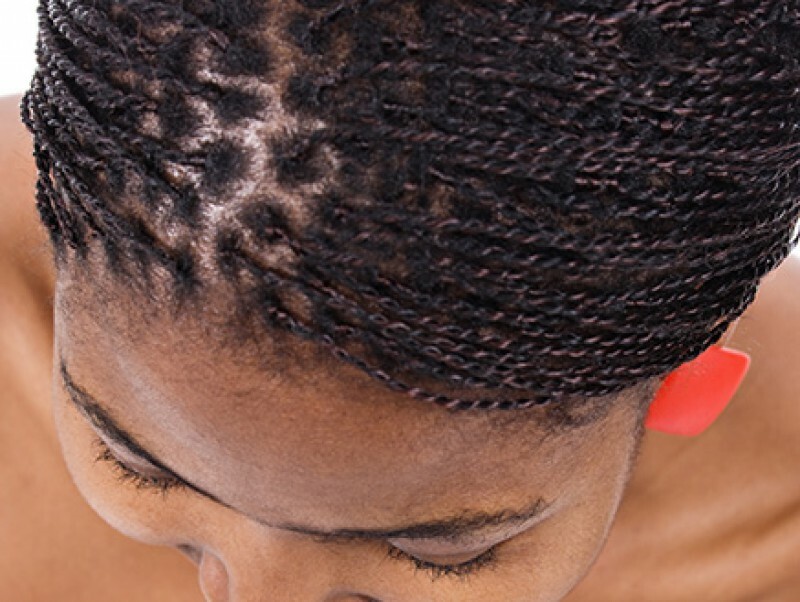 Implanting 2000 to 3000 hairs during each session which lasts for 3 to 4 hours, will provide a well defined and natural frontal hair line and the densification of a more or less widespread hair thinning area. 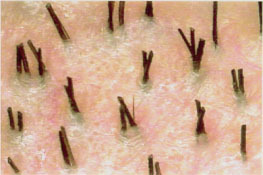 Hairs, harvested will keep their ability to grow after implantation throughout the patient's life. This procedure based upon the implantation of 1 to 3 hair grafts, aims at restoring the natural emergence of 2 to 3 hairs from each pilo-sebaceous orifice and avoids the unsight ful hair doll's appearance. Follicular unit extraction consists to harvest from the donor area, intact follicular units with 1 mm punches inserted at a depth of 4 to 5 mm. the obtained unit is then very gently extracted from the surrounding tissue. 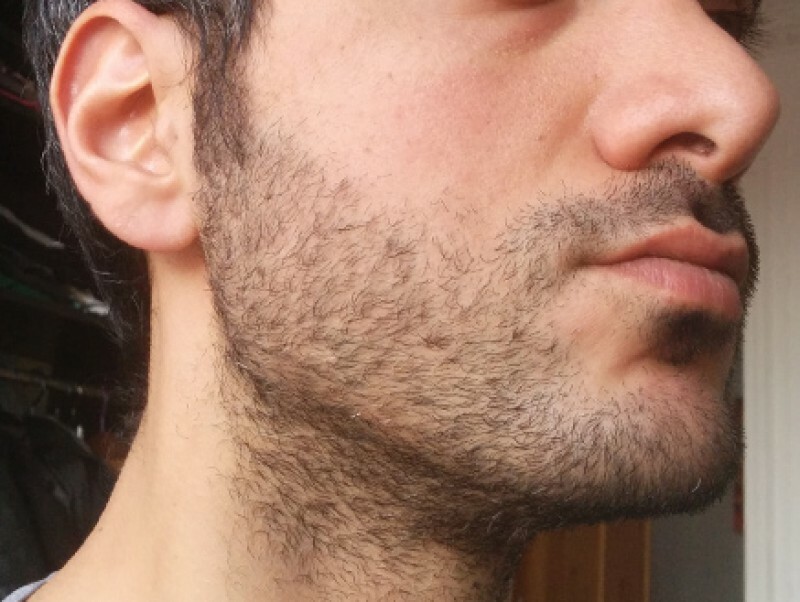 FUE can be considered in patients: who shave their scalp, who have less or no scalp laxity, who wish a small session, who don't have a baldness evolution. 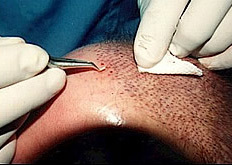 A homogeneous distribution of many more micrografts and follicular units grafts.